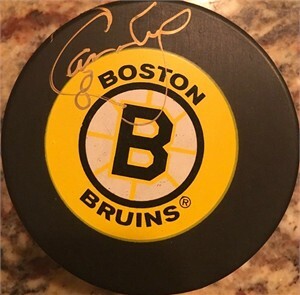 Vintage original Boston Bruins 1990s era logo puck autographed in thin gold paint by legendary Hockey Hall of Famer Cam Neely. With certificate of authenticity from AutographsForSale.com. ONLY ONE AVAILABLE FOR SALE.